NO HEMP?!? It would be interesting to ask personally the opinion of Governor Noem and the South Dakota legislators that voted against it, “Why not support hemp?” Below are parts of a letter I wrote to Governor Noem last month shortly after her public announcement against legalization to grow hemp in South Dakota. Some information has been edited and/or added for this post. 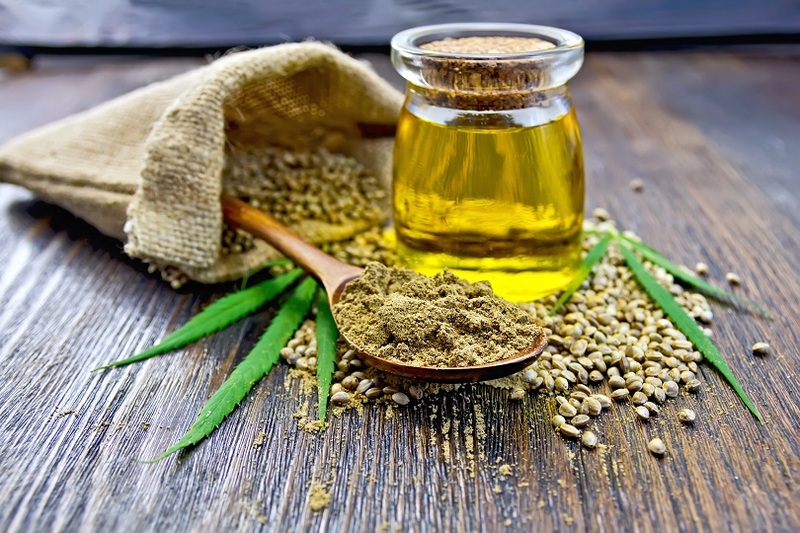 A number of great products come from regular and organic hemp seeds and flowers including CBD oil, health food, clothing, construction materials, and more. I’d like to learn more about your rationale behind your recommendation to shelve the state’s hemp efforts and your recent veto. “No hemp” seems completely contradictory to your pro-ag platform and background. It also seems to be antithetical to your whole State of the State address. In it you presented the idea to grow the ag economy by transferring ag development to the office of economic development. That move alone I took as a brilliant, yet simple concept to start looking at agriculture from a new economic perspective. This hemp hesitation just doesn’t equate with that economic growth idea. Saying hemp is bad is like saying a sibling to a convicted robber must also be locked away. Yes, the siblings share the same DNA and have the same parents, but they are clearly not the same. Hemp is an ancient crop that got lumped together many years ago and was banned because it is a sibling to marijuana. This is hemp we should approve, NOT marijuana. It is well known in any industry, the first ones out of the gate get the best share of the market and have a lead in innovation. I think we hurt the ag economy in South Dakota by closing the hemp doors of opportunity while other states open them wide. Looking for and anticipating problems that may not even exist seems to be a regressive way to look at this opportunity. 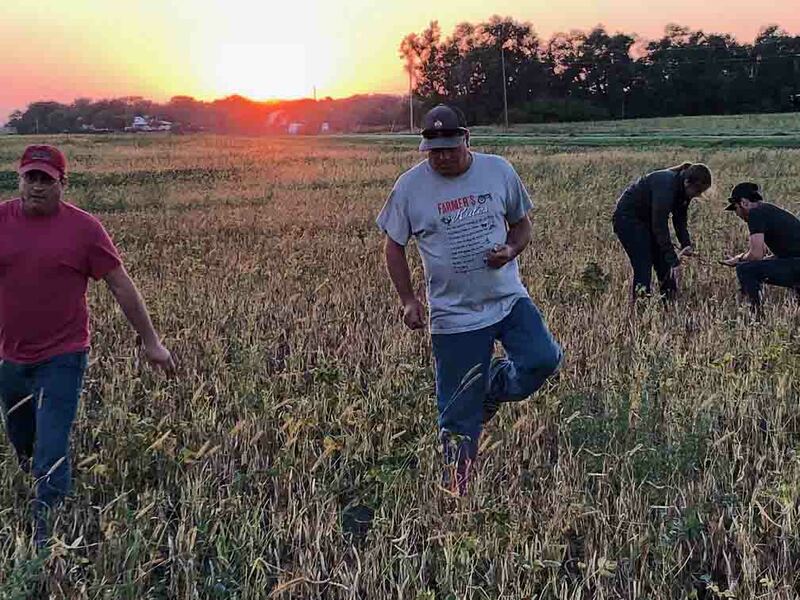 Rory Mikkonen, Lonny Mikkonen and Lonny’s two children Mariah Heine and Jayden Mikkonen are performing a millet crop inspection at the Mikkonen’s 4th generation organic farm. We are a 4th generation family farm of almost 2000 acres. It was recommendation back in the ’80s to find niche markets. Organic was an opportunity to grow our income without the necessity of growing the size of the farm. Thirty years ago this year, in 1989 we were certified as organic for the first time as our niche. We have been certified every year since. The potential of adding hemp would help deepen our crop rotation options, a practice we utilize for good soil health. In addition, the income possibilities for us personally to grow organic hemp and for all farmers across the state to add hemp to their crop list is significant. With the growing popularity of hemp food, health care products like CBD oil, clothing, construction materials and more, we deserve this opportunity. Hemp is an opportunity we just can’t let pass right now. Other states should not be allowed to find and create markets and industry that we in South Dakota should be leading. So, as a standout leader yourself and one who wears your ag background as a badge of honor, I hope you will reconsider and allow our state to be a leader in creating markets and new industries for hemp. 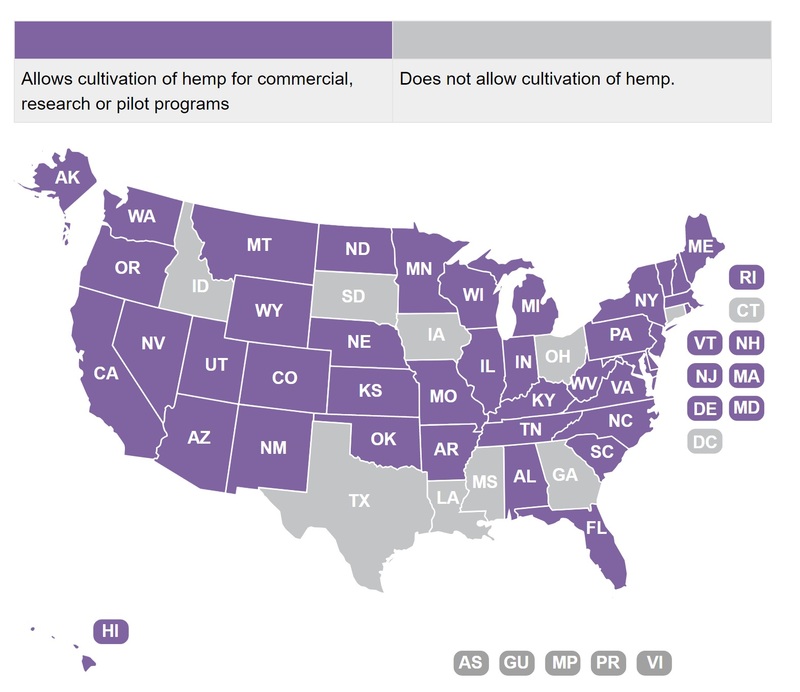 Map from National Conference on State Legislation showing states that allow hemp production in 2019. Since the law won’t take effect until July 1, the growing season for hemp would be passed for this year. This gives the state more than a year to investigate and implement the USDA guidelines. Furthermore, the 40 other states that have passed legislation allowing hemp growth. They would likely have sorted out many if not all the issues and concerns. Governor Noem, you yourself said in your State of the State speech, “Now is the time to search for the next big thing for South Dakota.” As vital as agriculture is in our state’s economy and with the current ag climate, hemp IS the next big thing. A far too conservative attitude is leaving our state behind. Hemp may not be a silver bullet to the ag economy, but it sure can help. We’ve got a great crop of farmers in our state, organic and conventional. Many of those farmers would be willing to work with the state to ensure the hemp growth concerns are addressed. We’ll help get this done right. Give us a chance to prove it. Stopping saying no hemp and step up and say yes. If you have a question you’d like to ask about our operation, organic practices or some other topic, feel free to contact us or stop by for a visit.